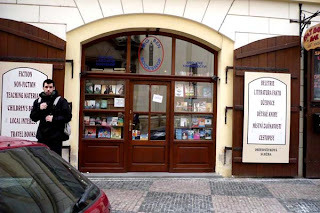 A cozy bookstore by the name of Big Ben is a common meeting point for expats in Prague. Unlike its name suggests, it's neither big, nor Ben. No, seriously, it is a rather small place with a pleasant, almost family-like atmosphere. For people spoiled by second hand bookstores in other parts of Central Europe (yes, we mean Budapest), the prices may seem a bit high. However, for those accustomed to regular priced bookstores with new English stock, Big Ben may not appear expensive at all. The selection of books offered in Big Ben is actually very good, taking the limited available space into consideration. The books are arranged in several categories, we really appreciated the fiction and the children's section. Besides the usual paperbacks of your favorite titles, you can also find nice hard cover editions, for reasonable prices, which may serve as an excellent gift. Another noteworthy thing is the section devoted to Prague, its history and books on the communist era in general. Big Ben is not the sort of bookstore where you'd come to buy books randomly, but a place where one goes with a purpose of purchasing a particular book. With this approach, we doubt that you'll be leaving disappointed. 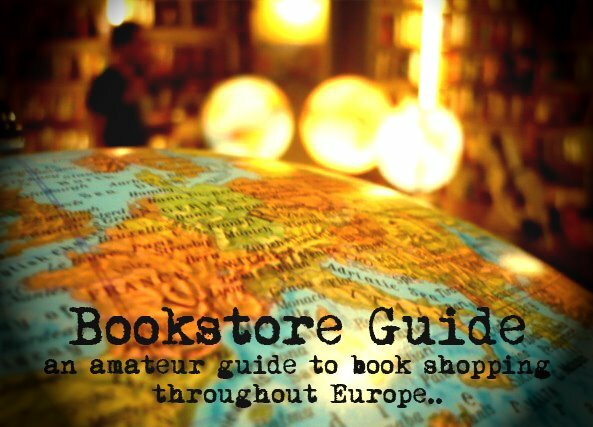 Located only a few hundreds of meters from the Old Town Square, tucked away in the little narrow streets of Prague, the Big Ben Bookshop is a very pleasant place to browse through. 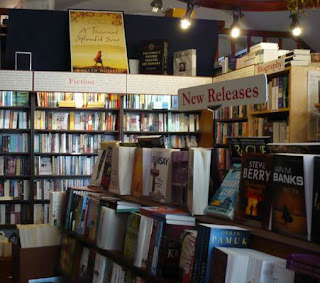 The bookstore was established in 1994 and has been operating for over a decade successfully and it has maintained its independent status. In Big Ben you can find all sorts of books in English, from dictionaries, teachers resources and course books to full range of fiction and non-fiction titles, as well as a children's section.